Across New York City, low-income tenants pay up to 13% of their income on traditional energy from fossil fuels. They also bear some of the highest burdens of climate change. Solar energy is one of the fastest ways to move communities from surviving to thriving. But currently, frontline communities who stand to benefit the most from solar, have the least access to it. We want to change that. 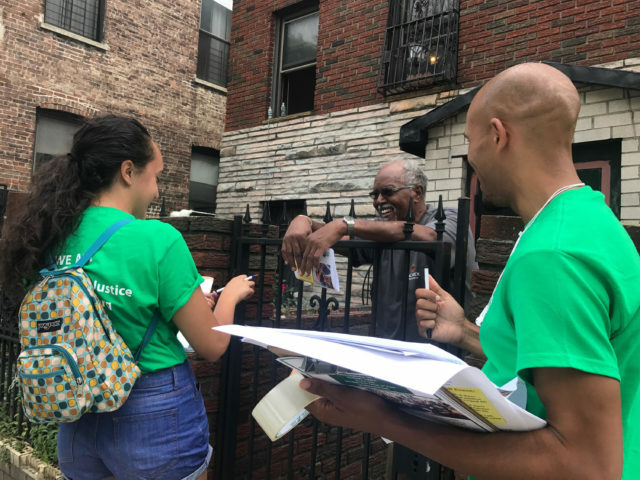 To grow solar in northern Manhattan, WE ACT has launched Solar Uptown Now, a campaign to bring northern Manhattan community members together to purchase solar as a group. The Solar Uptown Now model helps customers choose a solar installer that offers competitive, transparent pricing. Purchasing solar as a group helps to bring down the cost of solar installation for all participants. Growing solar in NYC could help us meet our climate emissions reductions targets, reduce the cost of energy for New Yorkers, and help prevent blackouts. If you are interested in learning more about the program, please contact Charles Callaway at charles@weact.org or 212-961-1000, ext. 309.